Hello from Switzerland! Below is a quicklist of the latest articles from a roundup of the web's best nuclear authors and bloggers, followed by more detailed descriptions below. Also known as the nuclear carnival #224. Two brand-spanking-NEW blogs and their first-ever articles are highlighted this week too. Enjoy! Confidence- What does it mean for nuclear waste? On Tuesday, the Nuclear Regulatory Commission made an incredibly important decision about nuclear waste that could finally get nuclear energy moving forward again. 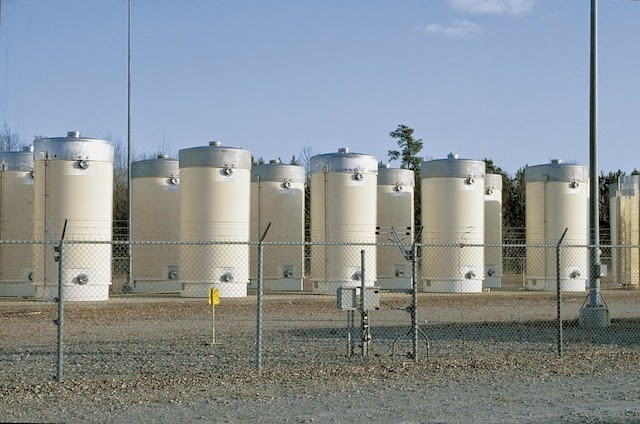 It is now confident that long-term storage of spent nuclear fuel, even over a hundred years, is safe and effective, and we don’t have to wait for a deep geologic repository to get our nuclear program going again. Dan Yurman's first posts on a new nuclear blog. Check it out! The electricity and financial markets are focused on short term, making it difficult for nuclear power to be developed (or even to remain in operation). One solution is a return to system planning for electricity infrastructure investments (like nuclear power plants). The UK is trying to do this with the EMR program and the Hinkley Point C incentive package and the Japanese are considering measures to keep nuclear power plants financially stable when (if) the Japanese electricity system is restructured. India's indigeneously built Fast Breeder Reactor at Kalpakkam in Tamil Nadu is likely to be commissioned next year,Parliament was informed today. The 500 MW reactor which is part of the second stage in India's three stage nuclear program is complex technology mastered by India. India is hoping to win Japanese backing for a nuclear energy pact during a visit by Prime Minister Narendra Modi, and lure investment into its $85 billion market while addressing Japan's concern about doing business with a nuclear-armed country. TVA officials say they are on pace to start operating the new Watts Bar reactor — the second at the power plant — in December 2015. That could make Watts Bar the nation's first new civilian nuclear power unit to come online in the 21st century. NRC might cause slippage into early 2016. The new Watts Bar reactor could cost as much as $4.5 billion. About 30 percent of TVA’s power supply comes from its three nuclear plants: Browns Ferry, near Athens, Ala.; Sequoyah, in Soddy-Daisy, Tenn., and Watts Bar, near Spring City, Tenn. Those plants alone make enough electricity to power more than three million homes in the Tennessee Valley. On the origins and history of the Linear No-Threshold radiation cancer risk model - fears of radioactive fallout were key to halting atmospheric testing of atomic bombs, but were other motivations possibly at work that may have encouraged exaggerating the danger from tiny amounts of radiation exposure? Potential safety issues with the reactor vessels at Belgian Doel Unit 3 and Tihange Unit 2 have thrust these two back into the news, just on the heels of a report of sabotage at Doel Unit 4 that caused serious damage to that unit's turbine generator. Will Davis, who has reported on these pressure vessel issues since they were first discovered, catches up readers on the events at all three units. Includes special section for the layman on nuclear plant turbine generators and background links. On August 25, 2014, a group of atomic energy advocates gathered to share experiences and advice about how nuclear energy advocates can more effectively act locally. We discussed ways to find people who are interested in atomic energy, ways to develop social interaction, ways to show our humanity, and ways to make it fun to support something beneficial to the world’s current population and future generations. Remy DeVoe and Justin Knowles, two nuclear engineering graduate students, have analyzed the EPA's proposed CO2 intensity rule and determined that a flaw in the formulas would give 15 states credit for reducing CO2 emissions if they shut down their existing nuclear plants and replaced them with an identical amount of generation from natural gas combined cycle plants. With her Internet connection down, Meredith Angwin of Yes Vermont Yankee read two non-nuclear books. A book about wilderness survival reminded her of the importance of accurate risk assessment (and avoiding FUD). A mystery set in Quebec reminded her of the human cost of the James Bay hydro project. These dams are often touted in Vermont as the perfect substitute for Vermont Yankee.